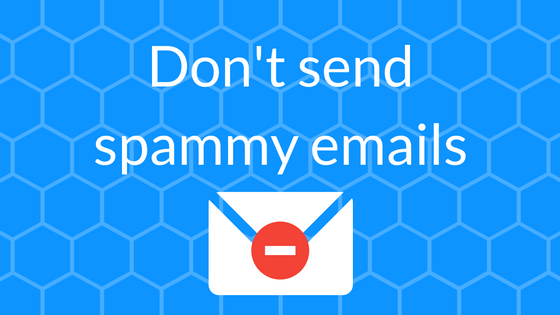 Does your business have huge email lists just sitting around doing nothing? Whether you’ve been collecting the email addresses of customers, potential customers, or both, you’ve probably gathered up quite a lot of potentially valuable contacts over the years. But now they’re just stagnating in a list somewhere. Seems a bit of a waste, doesn’t it? Especially as the average email list degrades by about 22.5% every year – perhaps even more so if you don’t keep the recipients engaged. But wait a minute… what if I told you that you could actually get something back from that email list – like more sales and engagement? Now, this is something I get asked about a lot, so listen up. You should be looking at your email as your most powerful marketing asset; when times are hard, and you’re not getting enough people to your website, this is where you should be turning; to the people who have already expressed their interest. It doesn’t cost anything to market to your email list, and with the right tools to hold their attention, they’ll stay with you – however, send them rubbish they don’t want to hear, and they’ll unsubscribe faster than you can say ‘You’ve been spammed’. In this blog post, I’m going to use my experience as a digital marketer give you five easy ways your company can get the most out of your email list. Often, companies buy email lists online thinking it’s a good investment, as these leads come pre-packaged with none of the effort. If you’re thinking of buying a list right now: stop. The reason being, that the contacts you’ll find on paid-for lists likely don’t know who you are, and haven’t opted into receiving emails from you. Not to mention, the first contact they’ll get from your company will come in the form of a spammy email – sending them something they never asked for in the first place is not the best start for a trusting relationship, is it? In fact, if you’ve already bought a list, this is probably why your response rate is so low. So, without further ado, let me give you some tips on building and making the most of your email list, the smart way! So, instead of buying lists, the best way to grow your email list is organically; in other words, collecting the email addresses of people who visit your website, or have somehow expressed an interest in your products or services. And of course, they should opt-in to receiving updates from you by entering their email address themselves, and preferably ticking the necessary box. The first thing you need to really think about is what you’re doing with these email addresses when someone contacts you; how are you collecting them, and where are these visitors going? If you’re only collecting emails from people who are asking for quotes, this may not be the most ideal way to build your email list, as only a small percentage of your visitors will be at that ready-to-buy stage – what happens to the rest? To be honest, they’re probably having a look around, and then leaving. Unless you’re able to look at Google Analytics and find out what these other people are doing on your website, they’re just a number to you. So, how do you turn these numbers into real people you can actually engage with? Well, one of the best ways is by offering premium downloadable content and information they can access for free – all they have to do is fill in their name and email address. Conservatories vs Orangeries: What’s the Difference? Now that you’re collecting your email list from various sources, you need a tool to collect and segment your lists for you automatically, so you can effectively communicate with your contacts and send them information they’ll definitely be interested in. For instance, someone who has already bought a boiler or a conservatory from you probably won’t be interested in an email talking about the same product. Keeping your lists as personalised as possible will allow you to send the right info to the right people – hopefully at the right time! Of course, you could segment your lists manually, but this is a very time-consuming job, and if you don’t stay on top of it, things can get messy – not ideal if most of your time is spent running a business! Once you’ve got a nice, healthy email list that consists of people who you know actually want to hear from you, the next step is to start sending out emails! The trick here is to stay at the forefront of their minds, by sending them helpful, engaging emails that they’ll be interested in and want to read – without spamming them with things that make them want to unsubscribe. One of the best ways to do this is by writing a regular blog, which you can then send out to the right people as you publish, or in a weekly or monthly digest. Your blog should ideally be updated once or twice a week with quality content that that answers the questions you no doubt hear from your best customers all the time. Without great content like this, you’ll just be doing what you’ve always done – only trying to sell products, and getting limited results. There are so many other reasons to have a blog – it also means that your website’s traffic will increase with more people being able to find you via Google search! If you’re thinking of offering a newsletter – especially if you have a new website – think about why someone would want to sign up. How will they benefit? You see? Especially if people are considering buying from you, they’ll definitely want to be informed if they can get your products or services for less! Finally, don’t simply think of building your email list as something that stays strictly online. Take a notebook or your tablet with you when you go out to jobs, trade shows and exhibitions, and ask people who show an interest if they’d like to sign up. You might be surprised how many will say ‘yes’! Especially if you tell them the kind of things you’re offering, such as brochures, ebooks and helpful content that answers that question they’ve just asked. It’s such a simple thing to do, but many companies fail to pro-actively build their lists this way. Thanks for reading, and I hope I’ve inspired you to do more with your business’s email lists – they’re such a useful marketing asset to have, and I’m truly saddened by how many companies simply neglect theirs, or use them to send out blanket spammy sales messages that appeal to hardly anyone. If you have any questions about email lists and how to make the most out of yours, feel free to leave a comment below – I promise to reply with something helpful!